It is with great honor that I present to you an exclusive interview with her. Here is your opportunity to get up close and personal with this style icon. Bio: Zunera is a fashion blogger based out of Washington D.C. 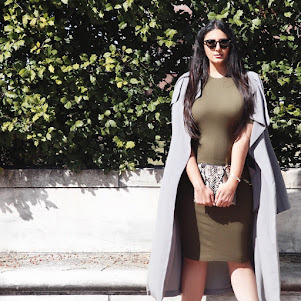 Her blog is all about fashion, inspiration and confidence. Fashion to her is a continuous process of revamping one's confidence and style. The goal of the blog is to bring you accessible & easily wearable fashion and to share her life’s journey with the readers. 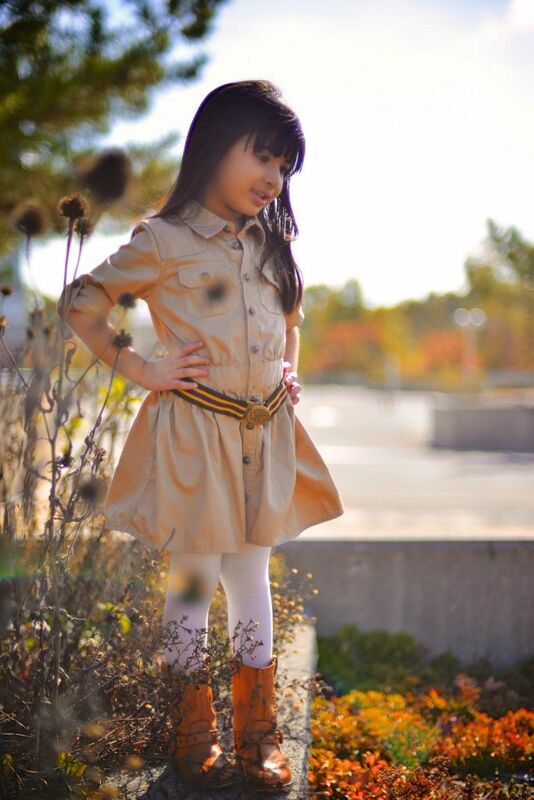 The blog has a post five days a week and occasionally includes posts of her five year old fashionista Serena! The blog has been featured by numerous designers; Cynthia Rowley, Aidan Mattox, Adrianna Papell, Ann Taylor, Gap, Anthropologie to name a few. Zunera also did a winter campaign for Banana Republic and is the international brand ambassador of 'Labels' which is the biggest fashion house in Pakistan. She also contributes to Vanity Fair and Lucky Magazine. She has been featured by OK magazine and International New York Times. One of her recent post was also featured on Lucky magazine's community site. Although fashion is her passion her day time job is working as an analyst for the 'Refugee Affairs.' She holds an international beauty queen title & does philanthropic work with "SOS Children Villages Pakistan" and local shelter houses in Washington, DC Metro Area. 1. Growing up, did you always want to get into the fashion field? Fashion has been my passion from a very young age. I remember my tailor in Pakistan hated me for all the time I spent on getting the shirt’s fitting or cut right. Although I did not pursue it as a career earlier in life, it has always been a key part of my life. 2. Who is your fashion icon or favorite fashion designer? 3. What has been the hardest thing that has occurred to you thus far in life? It has to be when my daughter had a near-death allergic reaction to cashews. She was 8 months old and suffered an anaphylactic shock and was hospitalized for a few days. Experiences like this really show you what is important in life. 4. How does it feel to be Mrs. Pakistan International 2014? It is an honor. I participated because I wanted to show that an average looking woman, with all my flaws can still be considered beautiful because beauty is more than just what initially meets the eye, the mind can be just as beautiful. 5. What advice would you like to give to people who are just starting off in the blogging world? Be yourself. Forget statistics, numbers and who is coming to the blog. Just focus on the work you are doing and be true to your audience. The rest will automatically fall in place. 6. You have a beautiful confident, down – to – earth nature? What would you say to women who struggle with self – esteem issues/confidence issues? Be yourself. Be confident. I understand that sometimes it is easier said then done, but that’s the only way to live. Everyone has fears and flaws, but the difference is how we choose to deal with them. Also being confident does not mean being arrogant. It means being humble and appreciative of yourself and others. 7. How would you describe your fashion style? 9. Favorite piece of clothing? 10. How do you balance your life between working for the US Immigration Office, being a full – time mom and wife, and being an active fashion blogger? My typical day starts around 5am and I am at work by 6:30am. I am home around 4, spend some time with Serena, and then usually go out with my husband and Serena for a photoshoot for the blog. Then dinner, clean up, some chores, and, once Serena falls asleep, then I spend time on the blog. So, most days I go to bed around midnight. It is a lot of hard work, but, since it is my passion, it is extremely rewarding and I love every minute of it. 11. How has your life changed after becoming Mrs. Pakistan International 2014? Life has not changed at all. I am actually very shy about wearing the crown. I think I have only worn it once. To me all women wear an invisible crown for managing their personal and family goals so well. 12. Your daughter Serena, at the tender age of four, already has such a strong, confident personality. Does she also want to get into the fashion field eventually? It is strictly her choice. I will be supportive of her regardless. 13. You have become the epitome of the modern day Pakistani woman. What advice would you like to give to other Desi women who struggle to balance both the Eastern and Western cultures? The number one thing we can do as women is to take a stand for ourselves. The biggest right we have is ‘our choice and we should learn not to give up on it. I work hard but also make sure others respect my choices. 14. How did you land your job at the US Immigration office? By hardwork. Roughly 14 years ago, I moved with my family as a young female immigrant to the United States. I was blessed to have a shelter over my head and was able to pursue an education, graduate from college and become a regional executive of a large financial institution by age 25. But I knew that I wanted to be a part of something where I can help others pursue their dreams. So, after countless applications I was able to land a job at USCIS where I get to help Refugee’s and asylee’s. 15. What are your future career goals? There are no goals. Learning to live in the moment. 16. What is your favorite travel destination? 17. How does it feel to be a brand ambassador for LABELS? 18. What pushed you to start your wonderful, fashion – savy blog? I have always had a passion for fashion and enjoy writing about self awareness & independent thinking in women and young girls. To me a woman who is aware of her body and knows how to express herself exudes confidence. The blog came about as I wanted a platform to be able to creatively express myself and share my passion with others. Initially I used my personal social media platforms to write about these topics but with the support of my friends & family I started the blog ‘Zunera & Serena’ last year, along with my five year old daughter. Much to my surprise the blog not only became an outlet for sharing the mother-daughter duo’s personal style but also a platform for young and working women to express there opinions through comments, e-mails and heart warming personal messages. 19. In one word, how would you describe your life so far? 20. How does one become a fashion – nina? By being confident and pursuing what they love to do in their life. Hope you guys enjoyed getting to know the fabulous Mrs.Pakistan International 2014. Please don't forget to share/like/follow this. Also, be sure to check out Zunera's blog Zunera&Serena and show her some love.